From a standard private office to a full-on Suite, your team needs a place to call home. Your office is fully-furnished and move in ready, enclosed and lockable. You also have 24/7 access to your space. As a member, you also get to use our exclusive business address for mail and permits, receive discounts on add-on conference room hours, and access to other premium perks. The Estudio membership is ideal for smaller teams that prefer having their own private space while still enjoying the benefits of coworking. It also offers 24/7 access with the convenience of staying after hours and catching up on work during the weekends. Have a bigger team or want more space? The Suite membership offers spacious private offices for teams of 2-12 people, equipped with a parking spot, standing desks, and huddle spaces. Available in Old San Juan (starting at $950/month), Santurce and Milla de Oro (starting at $1400/month). Exclusive to Suites members: 1 parking spot, a roomier private office, and a Global Pass to use conference room hours at any Piloto 151 location. Select Suites also include a huddle space. Get inspired to do your best work in our community of doers. Check out what’s included in the Estudio and Suite membership, and the amenities included in every Piloto 151 membership. with your own access card or code. Available in Old San Juan, Santurce, and Milla de Oro. in Old San Juan, and $30/hour in both Santurce & Milla de Oro. Add additional conference room hours as you need. Reserve parking spots starting at $50 a month, depending on availability. Our exclusive digital mailbox is included in your membership…for free! You will be notified via native app alerts, text messaging, or emails of your new incoming mail, see a photo of every piece of correspondence and choose how to you want each piece handled. Connect through Wi-Fi to Aeronet’s Gigabit1. Stay secure with no interruptions with network redundancy and Fortinet’s internet security. As an Estudio or Suite member, you receive your own personal code to print in the Copy Center of your chosen location. You can print, scan to email, and make copies. You will be charged at the end of the month: $0.10/copy for B&W and $0.20/copy for Color. Our indoor/outdoor terraces and lounges are tailor-made spaces perfect for quick meetings with a guest, take a call, and enjoy a coffee break. As an Estudio or Suite member, you get four (4) complimentary conference room hours to use throughout the month. Add more as you need with member discounts: $18/hour in Old San Juan; $30/hour in Santurce and Milla de Oro (40% member discount). Our Conference Rooms have capacity for 10-13 guests and are equipped with AV equipment. Book the conference room through your digital account in the Members Area or call the front desk of your location of choice. Stocked kitchen with complimentary freshly-brewed coffee, tea, refreshments and snacks, and refrigerators and microwaves to prep your lunch. Piloto staff is onsite Monday to Friday from 9:00 AM to 6:00 PM for tours, reception services and front-desk help. With a dedicated membership, you get your own personal 24/7 access to the building of your location of choice. Available in select locations, our phone booths are quiet spots to take a private call. During the evening, our cleaning crew does their stuff to keep all Piloto locations looking their best. The refrigerator is cleaned out on Fridays in order to keep it fresh (except anything noted by a member). All Piloto 151 locations are equipped with power generators in case of emergencies or power outages. What is the main difference between Café, Estación, Estudio and Suite Memberships? A Café Membership gives you access to a shared workspace in a common area during business hours, Monday to Friday from 9AM to 6PM. No need to reserve a space; just check in and use any available workspace. Because it’s not reserved, you choose a spot everyday. It includes 1 complimentary conference room hour. An Estación Membership includes a reserved desk, in an open area shared with other members, a lockable file cabinet, and ergonomic chairs by Herman Miller from MOS Collection. It’s dedicated, so you can leave your things like desktop computer without having to take everything at the end of the day. You also have 24/7 access to your desk and complimentary 2 complimentary conference room hours every month. Reach out for availability. 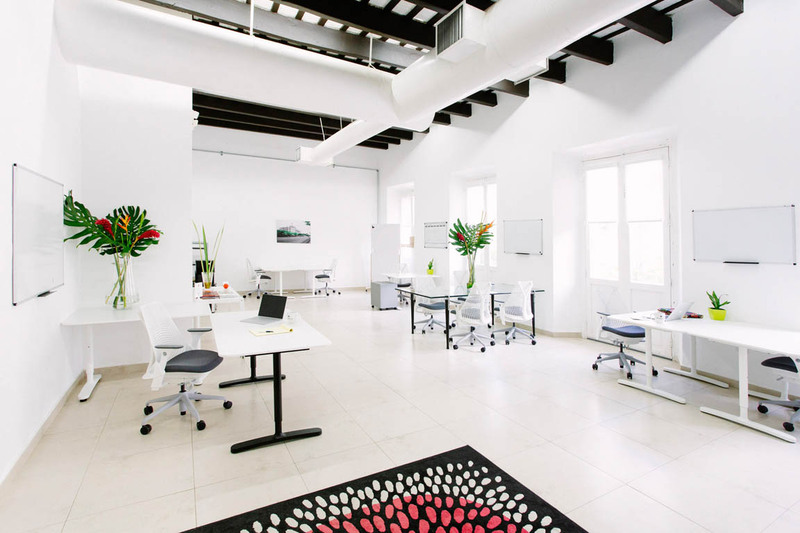 An Estudio Membership includes a fully-furnished private office for a team of 1-8 people. It’s furnished with desks, lockable file cabinet, and ergonomic chairs by Herman Miller from MOS Collection. You also get 24/7 access to your space and 4 complimentary conference room hours every month. Pricing depends upon office layout, capacity, and location. Reach out for availability & pricing. A Suites Membership includes a fully-furnished, spacious private Suite for teams of 2-12 people. It’s furnished with desks, lockable file cabinet, and ergonomic chairs by Herman Miller from MOS Collection. You also get 24/7 access to your space and 4 complimentary conference room hours every month. It also includes option of standing desks, a parking spot, and a Global Pass. Pricing depends upon office layout, capacity, and location. Reach out for availability & pricing. Is the membership a flat payment? Yes. However, if you need any additional services, typical charges range from mail forwarding, copy center printing, additional conference hours, and parking. You can also get 10% discount on your monthly membership with a 1 year commitment and 15% discount with a 2 year commitment. For tours, can I walk in or do I need to book in advance? We welcome walk-ins, but recommend booking a tour. You can receive additional information beforehand, ensure our availability and helps our team focus on helping you choose the right membership. To book a tour, let us know! Check out more in our Frequently Asked Questions. How does the Global Pass work? You can add-on a Global Pass to your membership to use your membership at any Piloto 151 location. For an additional $25/month, upgrade a Virtual membership to Virtual Global and use your day passes and conference room hours at any Piloto 151 location. Café and Estación members can upgrade to Global for an additional $50/month. Fitting to both memberships, it is exclusive to one member per visit. No need to add day passes, just simply check in for the day. Additional guests would need to get a day pass. Estudio and Suite memberships already include a Global Pass. Access to other spaces that are not your home space is limited to reception hours. What time periods can I book the conference room? Our conference room can be booked in 30 min intervals from 9am to 6pm. Reservations outside of these times are subject to availability an after-hour fee applied of $175 in addition to the cost of hours plus a $40 cleaning fee.